This is not a message for folks who are financially rich. No, this is for all of us who want to have that wealth. 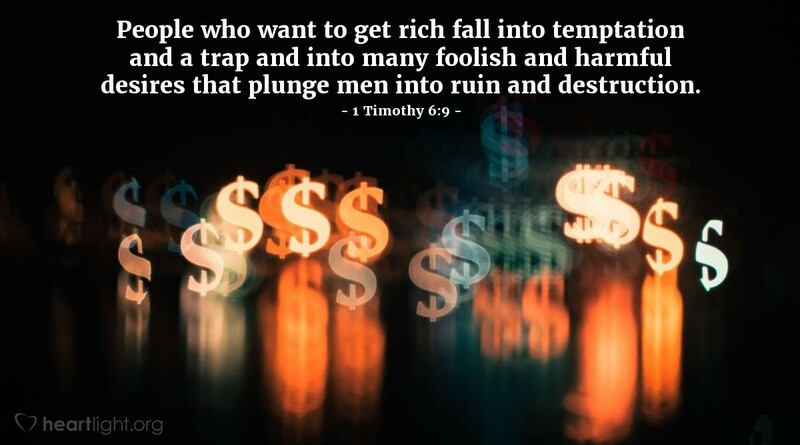 Craving it, coveting it, and going in pursuit of earthly wealth expose us to grave danger. Let's be reminded of Jesus' words: "Seek first God's Kingdom and his righteousness, and all these things will be added unto you." Thank you, dear Father, for your many blessings. Please help me to be satisfied and generous with the blessings you have already given me. Please help me keep my focus on you and your Son! In the name of your Son and my Savior, Jesus, I pray. Amen.